Housing markets located in the Lone Star state have remained relatively immune to volatile conditions. Having said that, the Dallas-Fort Worth metro is no exception. Like Houston, the Dallas real estate market remains fairly stable during both boom and bust years. At the moment, conditions are leaning in favor of a sellers’ market as home values have gone up 12.5 percent over the past year and are forecasted to increase by as much as 5.7 percent in the next year. For all intents and purposes, the Dallas-Fort Worth metro is a healthy market. Homes purchased in the Dallas, TX housing market one year ago have appreciated, on average, by $20,831. The national average was $15,781 over the same period. Homes purchased in the Dallas, TX housing market three years ago have appreciated, on average, by $58,382. The national average was $49,356 over the same period. Homes purchased in the Dallas, TX housing market five years ago have appreciated, on average, by $77,957. The national average was $68,727 over the same period. Homes purchased in the Dallas, TX housing market seven years ago have appreciated, on average, by $84,424. The national average was $59,758 over the same period. Homes purchased in the Dallas, TX housing market nine years ago have appreciated, on average, by $83,068. The national average increased $16,435 over the same period. Price appreciation in the Dallas, TX area continues to rise as gains in the last three years have extended the trend of positive prices growth after the recession. In addition, the number of properties in some stage of foreclosure in Dallas, TX were 30 percent lower than the previous year. Auction homes have decreased by 30.8 percent over the past year. Bank owned properties have decreased by 28.3 percent over the past year. Although home prices are growing relative to last year, the first quarter of 2016 saw the median home price in Dallas increase 9.1 percent compared to the national average of 6.1 percent, while home appreciation increased $20,831 through 2016 Q1. Home affordability remains the bread and butter for the Dallas real estate market. The mortgage payment-to-income was at 8.6 percent for the first quarter of 2016, which is actually lower than its historic average of 9.9 percent, while the median home price-to-income was 1.6 compared to the national average of 2.6. The Dallas-Fort Worth area continues to be a hotbed for new housing construction and 2016 shouldn’t be any different. Single-family housing permits grew 15.4 percent compared to the national average of 11.3 percent, and the current level of construction in Dallas is more than 50 percent above the long-term average. 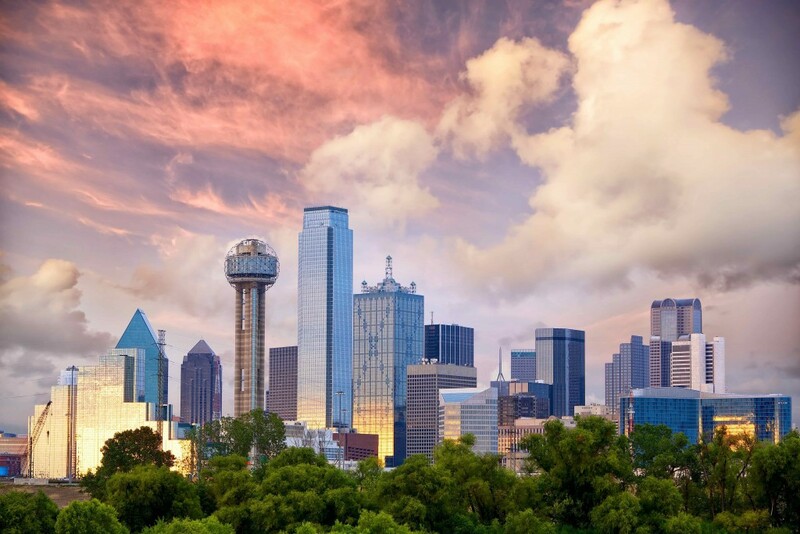 The Dallas-Worth real estate market was a smashing success in 2015. Median home sales prices through the first nine months were 11 percent higher than the previous year, and the median home price ended the year at $210,700, up from $191,300. The fourth quarter of 2015 was especially big for the Dallas real estate market as demand for single-family homes surged and home prices rose 9.5 percent year-over-year in the fourth quarter. The surge in home prices also helped reduce the number of foreclosures for the year, which reached its lowest level in almost 15 years. 2015 saw a total of 15,846 homes in some stage of foreclosure process. The stability of the Dallas-Fort Worth metro in 2014 was attributed to two key factors: home building remained cheap and the local economy continued to thrive. In addition, building costs remained low due to a surplus of wide-open spaces and lax regulations. Of particular interest, however, was the job market, which remained a hotbed for employment activity. In fact, 2014 saw the job growth rate more than double that of the national average, 3.6 percent and 1.7 percent respectively. Dallas even trumped the healthy economy of Denver. New employment opportunities helped to assist the unemployment rate, which fell from 6.7 percent the previous year to 5.4 percent in 2014. The influx of employment opportunities helped to generate a significant surge in buyer demand – and home prices. The median home price in Dallas-Fort Worth that year was approximately $191,300, which was almost $30,000 below the national average. Accordingly, this region remained more affordable than most markets in the United States. Affordability, in association with a positive year-over-year outlook made Dallas-Fort Worth a very desirable area for investing. Those who purchased a home within the time span became the beneficiary of an appreciation rate of 5.2 percent. Looking back even further, homes have appreciated 26.3 percent in the last three years. Over the same period, the average home in Dallas-Fort Worth has gained $39,800 in equity. Perhaps even more impressively, houses purchased nine years ago, at the onset of the recession, have gained $42,200 in equity. Gains in the previous three years have extended the trend of positive price growth following the downturn. The percent of delinquent mortgages in Dallas during 2014 was 4.9 percent, which was lower than the national value of 6.9 percent. With U.S. home values having fallen by more than 20 percent nationally from their peak in 2007 until their trough in late 2011, many homeowners were underwater on their mortgages, meaning they owed more than their home is worth. In 2014, the percent of Dallas homeowners underwater on their mortgage was 14.3 percent, which is higher than Dallas-Fort Worth metro at 10.4 percent.